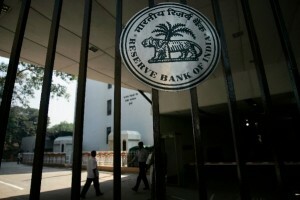 The Reserve Bank of India (RBI) has reduced its key interest rates for the first time in nine months. RBI has cut the policy repo rate to 7.75 per cent from 8 per cent. The policy repo rate is the rate at which commercial banks borrow money from RBI. They have also reduced the cash reserve ratio – the portion of a bank’s deposits that RBI hold – by 25 basis points to 4 per cent, which is expected to bring in 180 billion rupees. The Indian rupee reached a one-week high after the RBI announcement this morning. Montek Singh Ahluwalia, deputy chairman of India’s Planning Commission, welcomed the RBI move. “I think what it signals is the RBI feels that the government has taken a number of steps which gives the fiscal space needed for monetary policy to support growth,” Ahluwalia said.